What is up with the rear hub? Is that just a cover or is it some kind of drum brake? Cool whatever it is. These bikes are more in the '75-'76 range. I have several and while they are all very similar not one is exactly like any of the others. Thanks for the year range. I'll edit the description. The Graco had a dual downtube and a 22" front wheel. They usually bring a little more when they show up. Wow, 22" front wheel? Awesome! what a tank but damn... them some memories! 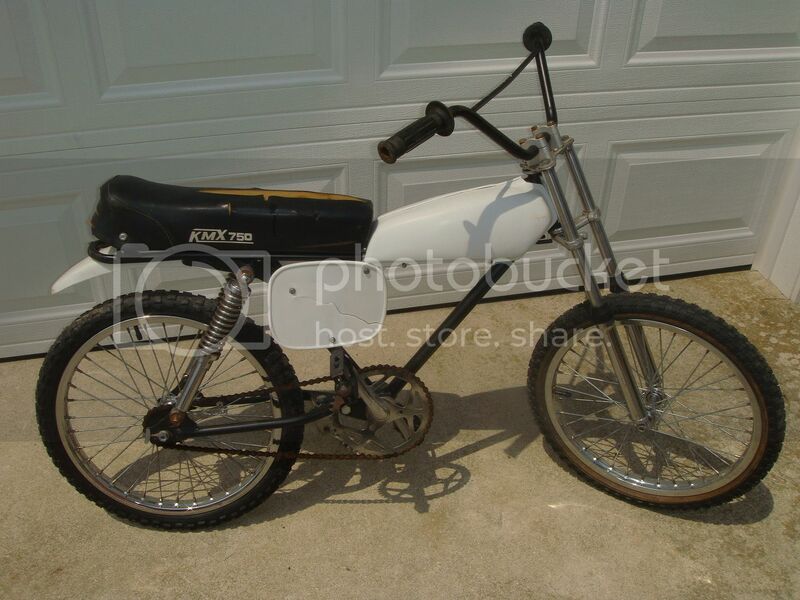 I had one of these KMX 750s in 1978 it was rescued from my neighbors garbage and rebuilt by my older brother. This thing could take jumps like no other but heavier than heck. Mine had white fenders, a white gas tank on it and a black crossbar pad. By far my favorite bike. 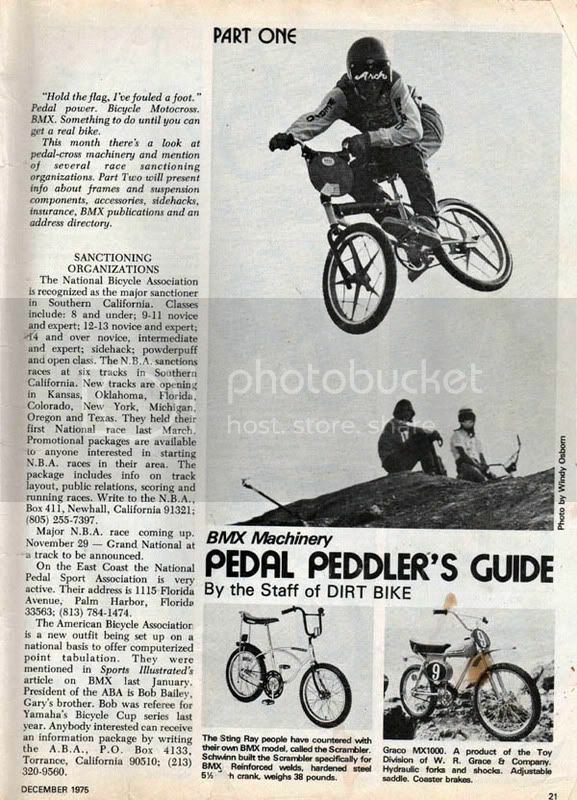 I had it until some rotten kid stole it from me when I lived in Minneapolis back in 1982 and never saw it again, a very sad day in my young biking career I was only 10 years old and the other kid was 15 or 16..Anybody know where I can get my hands on one of these?? I rember it was not a very fast bike, the shocks absorbed any attempt to go fast and it was very heavy, not a very good trick bike but could take any jump you put in front of it..Any clue where you can get parts for it?? Any clue where you can get parts for it?? good luck as these are rarely seen and fairly obscure! there was one up for sale recently... might wanna jump while you can! man I need those rims! Do you have an idea of what this bike is worth?